All good things are worth waiting for. Originally scheduled to be released last November, Piece of the Game and Monty Sheldon’s Baseball Authenticated Masterpieces is now planned to go live near the end of March. This is truly a unique product. Only (15) cases will be produced. Housed inside each case are (10) game-used, autographed, and hand-painted baseballs. Monty Sheldon is the artistic genius behind all of the original artwork. He’s been using baseballs as a medium for over twenty years. You probably recognize his name from the various projects he’s worked on for Topps. 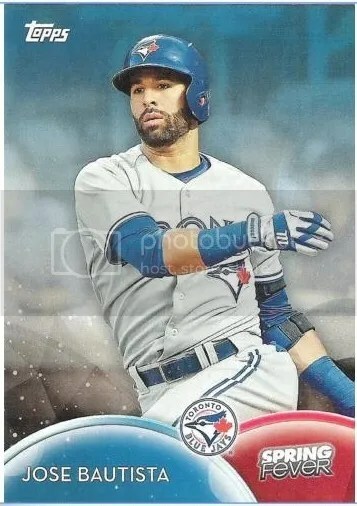 Some of his baseballs were even included in 2017 Topps Transcandent. They went all out on the packaging too. Every baseball comes packaged in an LED lit maple or ash wooden box. Very high-end stuff. (150) baseballs make up the entire set. 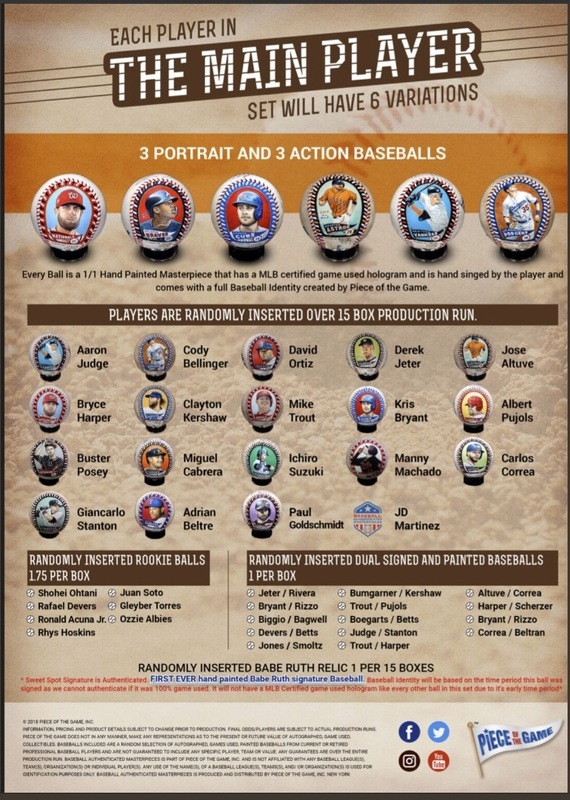 When it comes to the main player set, each player will have (6) baseballs – (3) portrait shots and (3) action shots. 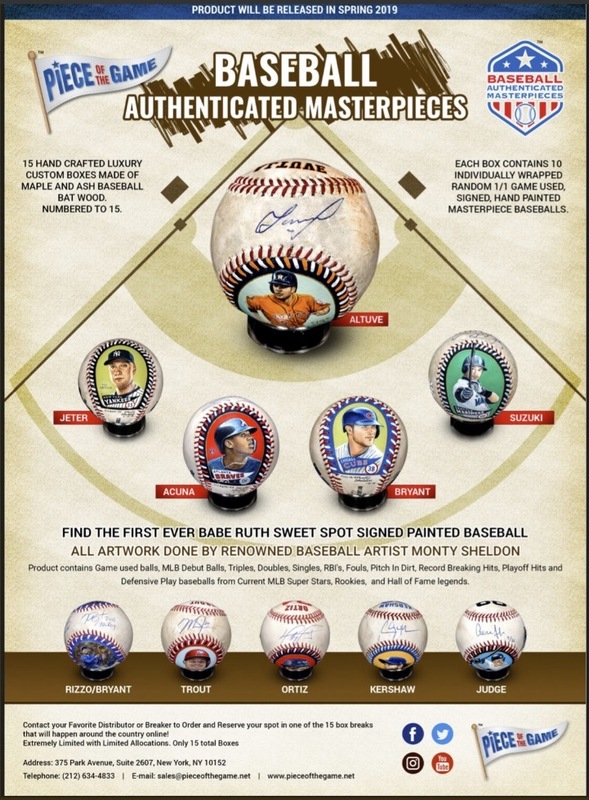 There are also rookie balls, and dual signed hand-painted balls as well. Somewhere within the (15) cases there will be a Babe Ruth authentic autographed, and hand-painted baseball. We have yet to see this one, but I bet it will be really cool looking. Wondering about documentation? They’ve got you covered. Each baseball comes with a hologram and serial number which will allow you to look-up in their database to see that specific baseball’s identity. MLB Debut Balls, Triples, Doubles, Singles, RBI’s, Fouls, Pitch In Dirt, Record Breaking Hits, Playoff Hits, and Defense Play baseballs are all in here. Cases have been allocated to Steel City Collectibles, Blowout Cards, Layton Sports Cards, GTS Distribution, and Ripping Wax. A single case will run about $36,000. 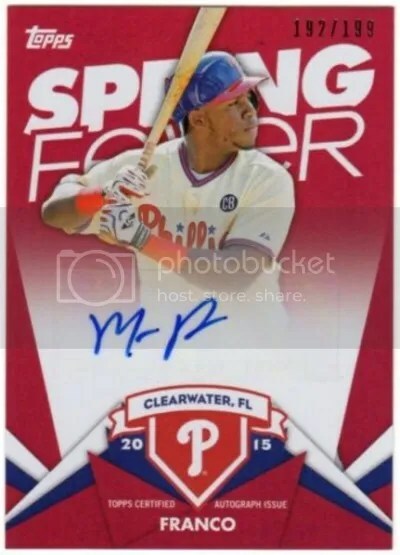 Group break spots have been selling for about $3,600. I’m really interested to see how these perform on the secondary market. Updated Sales Sheet – Page 1, Page 2. Spring training is back!!! 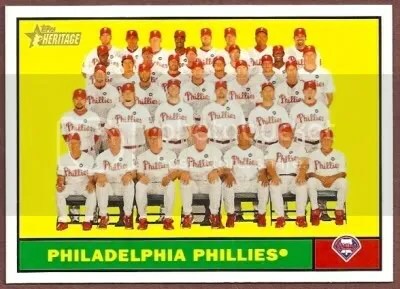 It won’t be long until the Phillies have their 2012 home opener. This week they lost Raul Ibanez to the Yankees. I wish he wouldn’t have left, because Ibanez was a fan favorite. Someone else will have to take over his spot in the outfield now. The Phillies have a few options since I think they were anticipating Ibanez leaving. Laynce Nix, Scott Podsednik, and even Dominic Brown have a shot at the position. I think Brown will start the year in Triple-A even though he has made it clear that’s not where he wants to be. 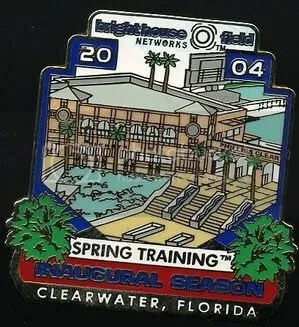 This pin marks the Phillies inaugural spring training season at Bright House Field in Clearwater, FL which opened in 2004. It can be found for around $10.00. 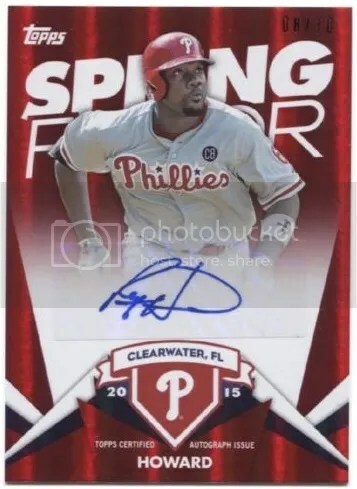 Yesterday the Phillies played their first pre-season game against Florida State and won 13-6. Today they’ll play against the Yankees.